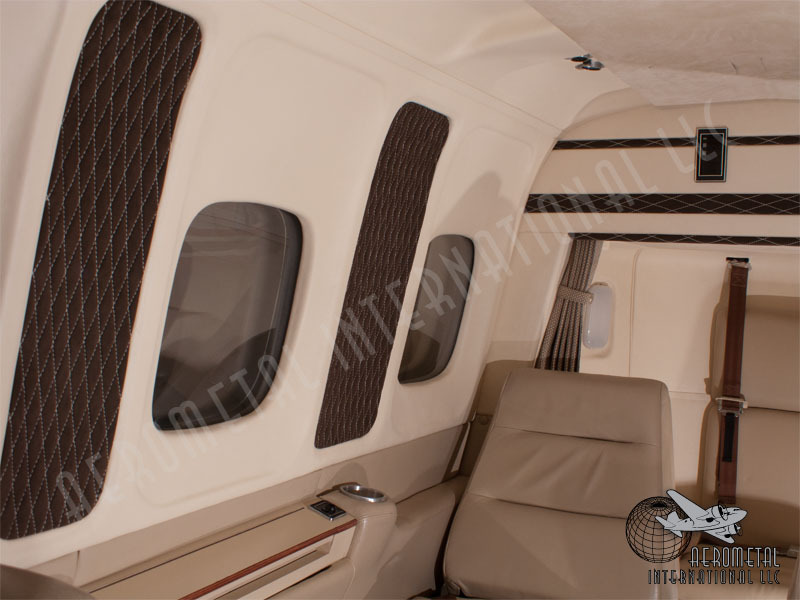 InteriorWorks was contracted for further work for this Aero Commander Jet-Prop 1000B, after first completing the replacement of all carpeting, which can be seen here. 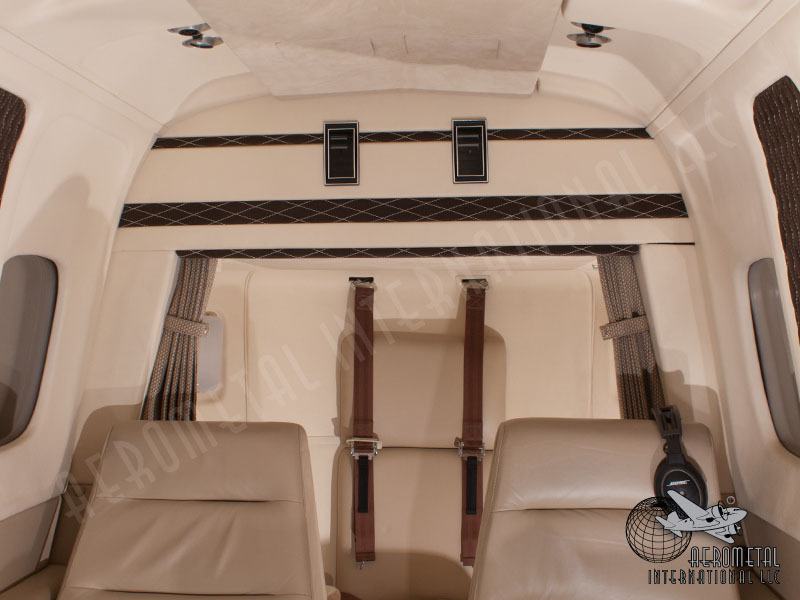 The owner wanted the aircraft interior to project a swift/sporty/retro appearance, which we enthusiastically developed. InteriorWorks focused on updating the trim panels, curtains, and flight deck seats in order to achieve this goal. InteriorWorks began by removing the existing floral print tone-on-tone trim panels and curtains. They were replaced with diamond quilted synthetic suede, using contrasting thread. 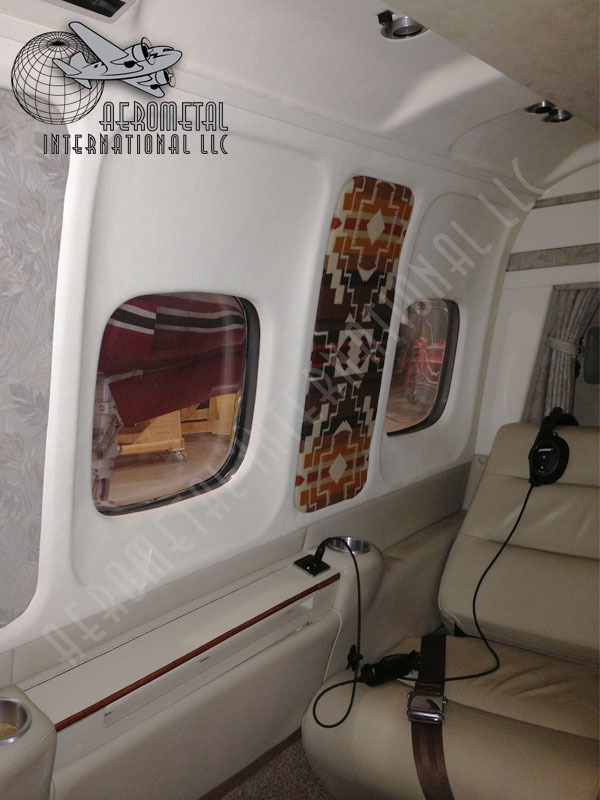 The existing lavatory curtain was replaced with a 3 dimensional woven textile, which we specially treated to pass aircraft certifications. The flight deck seats were reconstructed using perforated leather that matched the new carpet. 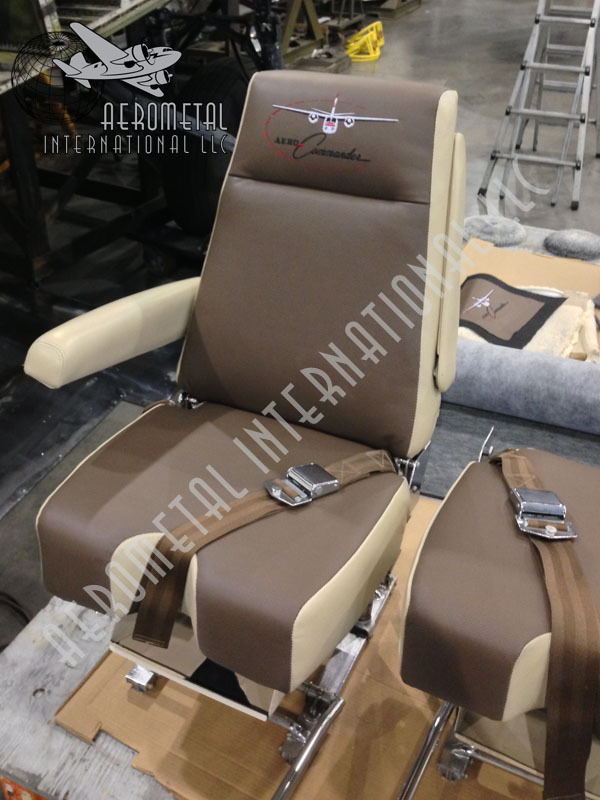 For a personalized touch, we digitized and custom embroidered an Aero Commander-branded item of the customer’s onto the leather of his flight deck seats. The finished interior is sophisticated and cohesively “swift”–reflective of the owner’s energy and dynamism. This entry was posted in Uncategorized by Interiorworks. Bookmark the permalink.